A witch, more machine than human, judges the character of the wicked and hands out justice in a ravaged Chicago. John Henry wields his mighty hammers in a war against machines and the undead. Frederick Douglass and Harriet Tubman rule a country of freed slaves that rivals – and often bests – England and France in power and technology. 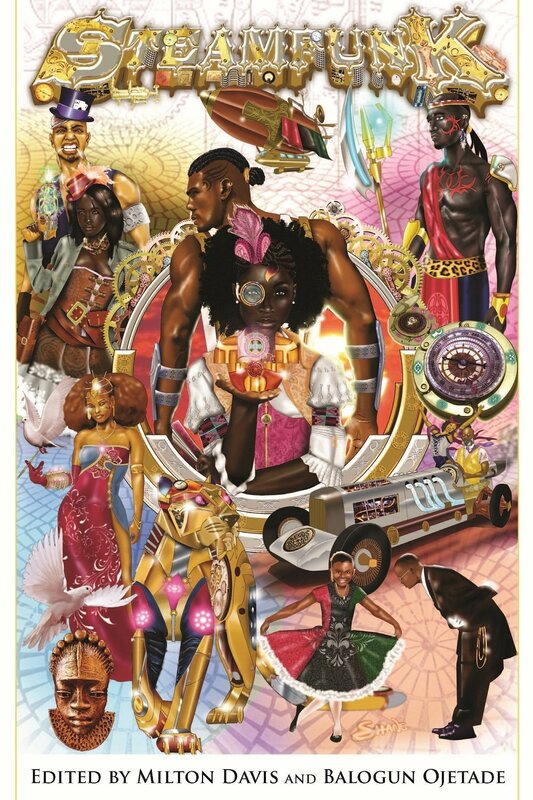 You will find all this – and much more – between the pages of Steamfunk, an anthology of incredible stories by some of today's greatest authors of Science Fiction, Fantasy and Steamfunk – African and African American-inspired Steampunk.